On September 14, House members passed the measure one week after its introduction, largely along party lines. Trump expressed support. Senate consideration will follow. and other alleged violations of US laws, shifting responsibility to prove innocence on targeted individuals, not authorities as mandated under international and constitutional law. The measure is far more sweeping than targeting alleged “gang members,” endangering refugees and asylum seekers from designated countries, ones Trump and other hardliners in Washington want kept out or targeted for removal – violating their civil and human rights. Any immigrant suspected or alleged to be a gang member can be deported. US prisons are filled with wrongfully convicted men, women, youths, and children, mostly people of color. HR 3697 is a vehicle for the manufacture of human and civil rights abuses, disgraceful legislation, its provisions no just society would tolerate. It creates a sweeping new definition of “gang member,” giving authorities broad latitude to target social and political groups, clubs, even churches or other religious organizations. It expands the use of mandatory, no-bond arbitrary detentions, a flagrant violation of international law. The International Covenant on Civil and Political Rights prohibits arbitrarily detaining anyone. Refugees and asylum seekers will be deterred from seeking refuge in America. It’ll subject law-abiding immigrants to flagrant abuses of power, including Fifth Amendment equal protection rights. It’ll permit sweeping roundups of immigrants, refugees and asylum seekers of color, mainly Latinos. Living in the wrong neighborhood would risk deportation. So could wearing the wrong colored clothing or being in the wrong place at the wrong time. 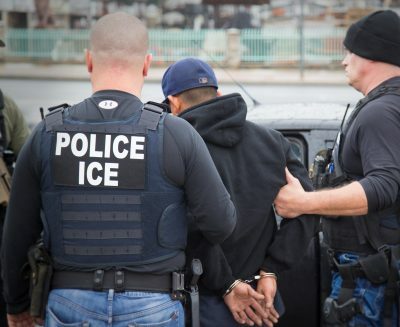 Sweeping Immigration and Customs Enforcement (ICE) roundups are notoriously indiscriminate, many individuals guilty of nothing abusively detained under deplorable conditions and deported. HR 3697 authorizes deportations if there’s “reason to believe” so-called gang affiliation or association, no credible proof required. Expansive language permits sweeping up law-abiding people indiscriminately, children as vulnerable as adults. DHS can target anyone based on secret evidence, classified evidence, no evidence or any pretext cited – without due process, constitutional protections denied. Humanitarian relief can be denied individuals fleeing persecution from designated countries. HR 3697 is deplorable legislation, the latest in a long line of US police state laws – certain to be enacted if Senate passage occurs.